The scenic Cove Lake State Park is on the eastern edge of the Cumberland Plateau and offers access to the Cumberland Trail. Just 30 minutes from Knoxville, Cove Lake State Park offers access to the rugged Cumberland Trail, as well as maintaining miles of its own hiking trails. Cove Lake’s trails cover six total miles, but you can add on more mileage by taking the Cumberland Trail. Cove Lake State Park has two easy hiking trails, one moderate trail, and access to a strenuous section of the Cumberland Trail. It’s possible to do one of the easier trails in less than 30 minutes, but you could spend a couple hours out on the Cumberland Trail. An archaeological dig in the Cove Lake area in the early 20th century revealed a nearly 15-acre settlement from the Mississippian period, so the park’s human history stretches back a thousand years. Logging, agriculture, and mining hit the area throughout the 19th century, and by the 1920s, settlement in the area had reached the point that Tennessee Valley Authority constructed the Caryville Dam to provide electricity. 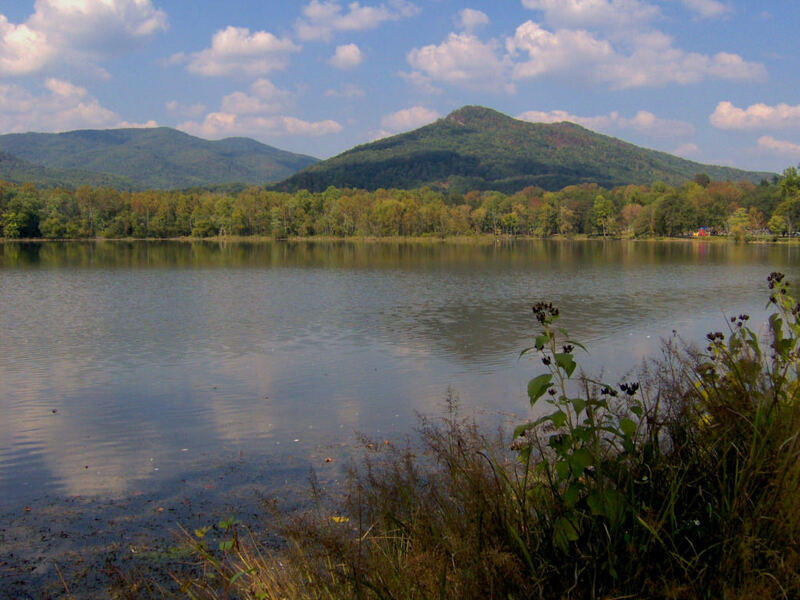 Like many of its fellow Tennessee state parks, Cove Lake was established in the 1930s, when the Civilian Conservation Corps built its trails and structures. These days, Cove Lake maintains a campground with 106 sites, ample fishing and boating opportunities, and is a hotspot for migrating birds. Situated on the far eastern end of the Cumberland Plateau, Cove Lake State Park maintains three easy to moderate trails. The Beavers Workshop Trail is the easiest, and comes in at just one mile. The moderate 1.2-mile Volunteer Loop Trail meanders through the park’s mature hardwood forest and is a great place to spot migratory bird species in the spring and fall. All of the park’s features are connected by an ADA-accessible 3.5-mile paved trail, which follows Cove Lake’s coastline and is open to both hikers and cyclists. The park’s hiking highlight, though, is its access to an 11-mile section of the Cumberland Trail, which will eventually connect 300 miles of Tennessee’s wildest places from Cumberland Gap on Tennessee’s Virginia/Kentucky border to Prentice Cooper State Forest on the Georgia border. The portion of the trail accessed from Cove Lake, the Eagle Bluff Section, is a part of the Cumberland Mountain Segment. This incredibly geologically varied section of trail traverses a series of rocky ridgelines, and includes a stop at the top of the Devils Racetrack, immense sandstone cliffs and arches, and views of the Powell River Valley and Cumberland Mountain. Cove Lake State Park is a postcard-worthy destination on its own, and just 30 minutes north of Knoxville, it’s an ideal place to make a quick getaway. The state park’s myriad amenities (including a campground, restaurant, and swimming pool, in addition to the hiking access) mean it’s a great place to bring the whole family. Intrepid adventurers, too, will love the easy access to the Cumberland Trail. The Eagle Bluff Section of the Cumberland Trail departs from the Bruce Gap Road Trailhead in Cove Lake State Park. Take Exit 134 from I-75 and take a left onto Royal Blue Road/Old TN 63 for just under a mile. Take a right onto Bruce Gap Road, which passes under I-75, and pull into the Bruce Gap Road Trailhead on the left. Park in the paved, fenced parking lot and leave from the back, left-hand side of the lot. There’s an information kiosk a few hundred feet down the trail. Note that the next access point to the trail is at Tank Springs in LaFollette, so if you plan to hike the entire segment, you’ll need to come prepared for 22 round-trip miles or arrange a shuttle.